Free-to-play gaming is in a difficult place right now. 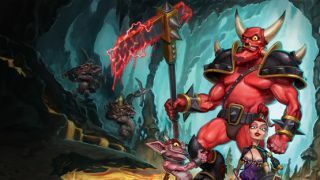 Games such as EA's Dungeon Keeper have been causing uproar for their method of charging users. The European Commission wants to tighten regulations and has suggested we may soon see the term "free-to-play" applied only to games that are, in fact, completely free to play. "Misleading consumers is clearly the wrong business model and also goes against the spirit of EU rules on consumer protection," said EU justice commissioner Viviane Reding. The EC said it has received complaints about various free-to-play games from all over Europe, and it will expect members of the industry to answer to these concerns. While free-to-play titles are of no initial cost to download, the way in which many charge users to progress through the game has been heavily criticised. "At present over 50 per cent of the EU online games' market consists of games advertised as 'free'," read a statement from the EC, "although they often entail, sometimes costly, in-app purchases." Maybe they can call in Peter Molyneux to solve the whole issue. He reckons he has the answers to the free-to-play problem.